I use the safest and best carpet cleaning products and equipment to give your carpet and rugs a long lasting, quick drying deep clean. Your carpet will last longer, smell great and look like new. As well as spot and stain removal, having your upholstery cleaned will remove all the dirt and dust that regular vacuuming can't get out. Hard flooring is a phrase which covers a wide spectrum of materials and finishes but All Square Cleaning is able to help you keep them all in great condition or completely restore if necessary. Why choose All Square Cleaning? I will provide honest advice and take care when operating in your home. I offer great value for money and always deliver the best results. Fully trained and insured with years of experience across the industry. I use the safest and best carpet cleaning products and equipment to give your carpet a deep clean.
" Tony and I wish to offer our grateful thanks for the work you did on Tuesday to clean our suite of chairs and the carpet.We are delighted with the result and to say we were so impressed with the professional way in which you approached and carried out the task. " " I feel confident in recommending All Square Cleaning. Neil is thorough, easy to talk to, and always willing to take the time to discuss what options are most suitable for us! " " Neil is always our first choice for carpet and upholstery cleaning. We live in the country, we have an open fire and three cats, and I’m incredibly clumsy. There were stains on the carpet that we’ve scrubbed and scrubbed at – we didn’t expect brilliant results. What we got was a carpet that looked almost as good as new. Top marks Neil. He’s splendid at what he does, and he does it with a smile and cheery demeanour. Can’t recommend All Square Cleaning enough. " " Fantastic service and so pleased with the result! My carpets look amazing! 100 times better than you could do yourself. Will be using Neil again & wouldn’t hesitate to recommend this service. " " Hi Neil, Just wanted to say how pleased I am with the carpet cleaning! I didn’t want to step on them they look so good! Thank you for such a thorough job. I will certainly recommend you! " 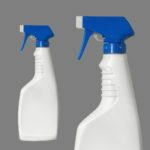 The best way to ensure you get the most accurate price for cleaning is to arrange a free, no obligation survey. That way, I can see exactly what's involved and you'll be confident that there will be no other costs that some other competitors may add on once they've completed the work. You'll find lots of information, tips and advice on carpet cleaning in my free guide 'carpet cleaning and maintenance' which you can download here. Visit the blog for additional advice and updates. 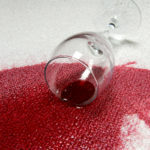 Most DIY stain removers sold in supermarkets are a waste of time. Even if they clear up the stain a sticky residue is left which then attracts dust and a grey mark appears. All Square Cleaning provides carpet cleaning, hard floor cleaning and upholstery cleaning in Warwick, Leamington Spa and Kenilworth. I am here to offer the highest quality carpet cleaning service at a competitive price.